Podcast Publisher Console is a complete site management suite designed for podcasters by podcasters. Unlike Wordpress plug-ins or CMS add-ons, Podcast Publisher Console is designed specifically to put podcasting first, it does not make it an after-thought. It allows producers to create their content and easily put it in front of their fans. The system is entirely skinnable with simple HTML and CSS, not coding required. 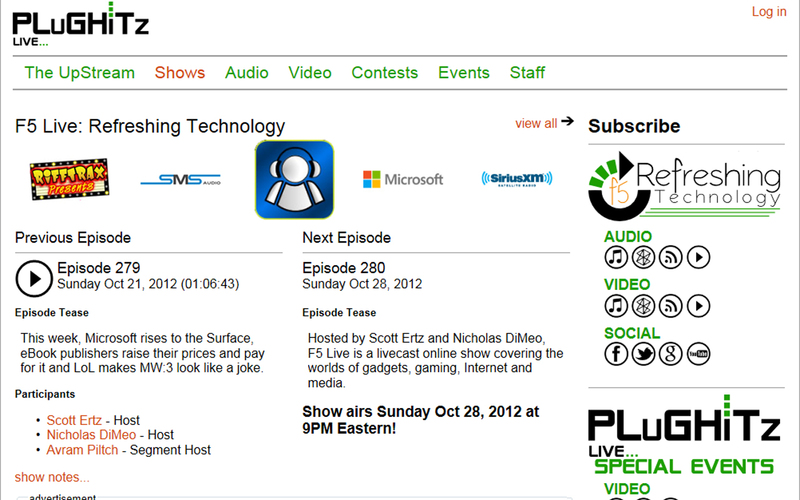 Podcast Publisher Play allows consumers to subscribe to their favorite audio and video podcasts in an easy to use Metro interface on Windows 8. Podcast Publisher Console is a full site management system allowing producers to create content in a system designed for podcasting, not a system where podcasting is a plug-in after thought. Podcast Publisher Social allows podcasters and bloggers to interact with their social networks in an autoamted way that both increases page ranking and user visibility. Podcast Publisher is a suite of applications designed to make the process of creating, publishing and consuming podcasts easier.